Stories, photos and ski resort profiles to help you discover new places and dream about your next ski trip. Independent and detailed reviews of ski resorts and accommodation to help you find what's right. Expert advice & competitive rates. From hotel rooms to full ski packages, our agents will find you the best deals. Time to go skiing! Get all the inside-tips for your resort in your Scout Field Guide. Free with every booking. With most resorts offering world-class facilities and internationally acclaimed ski schools, learning to ski can be a wonderful experience on a ski vacation. It can also be a first-timers worst nightmare; think cold hands, sore feet, foggy goggles, and blizzard conditions. Check out our list of the Best Ski Resorts for Beginners that are sure to make your first step in your skiing career the most memorable (and stress-free) as it could be. Offering a pleather of terrain for beginners, Beaver Creek is a fantastic option. Unlike other resorts, beginner-only trails start at the top of the mountain, so first-timers don’t feel as left out. There are also specific family and slow zones for a more comfortable experience, and families will appreciate the non-hoon areas throughout the resort. Beaver Creek's ski school has a great reputation, and wonderful set-up, and in a good location at the main village. Uncrowded slopes and impeccable grooming makes for a great base for learning to ski. The terrain is divided into distinct areas that almost exclusively cater to each different level of skier, with the beginner areas offering nice mellow green runs that snake back down to the main village (and no chance of stumbling across a double black). The good value ski school is also a hit at Copper. With multiple ski school locations and beginner-only slopes, this resort is ideal for first-timers. Lessons are conducted on super wide and mellow runs, so advanced skiers tend to steer clear of these areas, which make beginners feel more confident and safe on the slopes. Lots of non-snow activities also keeps first-timers happy on down days. Kiroro is a fantastic option for first-timers in Japan who want convenience, good value, and a resort with fewer crowds. 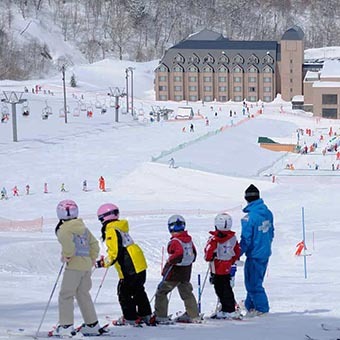 A well-established resort, Kiroro offers beginner areas at the base of the mountain, with gentle terrain to get started, plus a good range of ski school programs and private lessons. The additional snow park and amusement facility is particularly ideal for the little ones learning to ski. With an internationally acclaimed ski school, fun kids programs, and plenty of non-snow activities, Snowmass ticks all the boxes. The long mellow groomed runs are ideal for first-timers, and encourage easy progression. Slopeside condos are also aplenty, allowing for easy access to home-base for ski breaks. Hands down the best resort in Japan for beginners, with a well-organised ski school with English speaking instructors, good quality rentals, and easily accessible mellow slopes. Being a smaller village area, Myoko offers a traditional Japanese experience for first-timers to Japan, with the comfort of Western amenities. With magic carpets a-plenty at Tignes, it’s a wonderful resort to stat your skiing career. Each village in the area has a series of beginner runs, many leading back to the main resort base, plus there are free beginner lifts scattered throughout. All ski schools in the area offer English speaking lessons. Easy beginner-friendly terrain that is close to the main base area of Northstar and to multiple on-mountain lodges makes learning to ski a breeze. 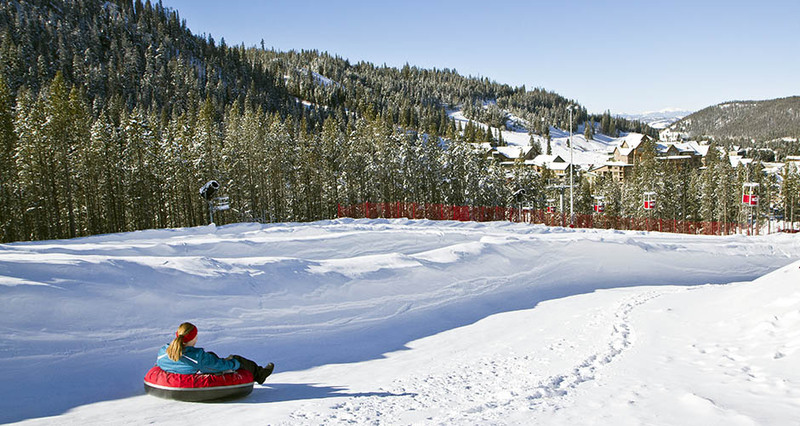 Ski school is available from the age of 3, and Northstar is renowned for its pleather of non-snow activities for those who need a break from skiing. Proximity of lodging to the main village base is also a perk. For a down-to-earth learning environment, you can’t go past Winter Park. With fantastic ski school programs and facilities, and convenient base area, first-timers can learn with ease. Plus the terrain is divided into several ‘territories’, with plenty of options for beginners close to the base area and separate from the advanced skiers. A great choice for families with first-timers, Val d’Isere has plenty of ski school options, and an easy-to-get-to beginner area right at the centre of the village. There are also several slopes called ‘Piste Tranquille’, dedicated to ‘quiet’ skiing, ideal for those wanting to learn away from the crowds. For those seeking somewhere off-the-beaten-track and no crowds, Kimberley is the place to be. The beginners-only area and Kid’s Learning Area is super close to accommodation, making it a great choice, plus the non-existent lift lines creates a stress-free experience for first-timers. Not to mention the great value of lodging and ski lessons. We love the terrain at Val Thorens for beginners, as they offer gentle red and blue runs that are great for learning, plus they include ones that link to nearby Meribel and Les Menuires, so even first-timers have the chance of skiing beyond the resort. The resort is also compact and easy to get around, with all facilities conveniently located in the one spot. One of the true gems, Big Sky boasts a distinct lack of crowds and excellent snow conditions for first-timers. Nice and long and gentle beginner runs are scattered throughout the resort and easy to navigate, so skiers aren’t confined to the one area. There are also plenty of non-snow activities for those who want a break from skiing. Well-known as one of the best beginner-friendly resorts in Canada, Big White offers a dedicated learning area with nice and slow chairs for an easy unload. The ski school is fantastic, with parents able to track their children’s progress via GPS, plus night-skiing terrain with plenty of green runs. The world-class facilities of the village base area also makes for a great learning experience. Still unsure on where to head for your first ski vacation? Contact us at Scout for a customised ski package to suit your needs. Send a link to this page to a friend. The email addresses you enter will not be stored or used by us in any way.